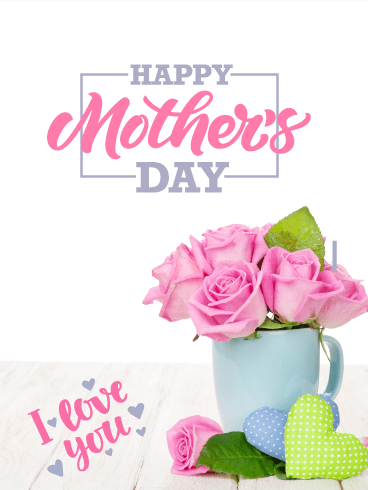 This bright and happy Mother's Day card features a creative display of the word MOM, complete with flowers and a pink heart! It also includes pretty pastel colors that really make this Mother's Day card look lovely. 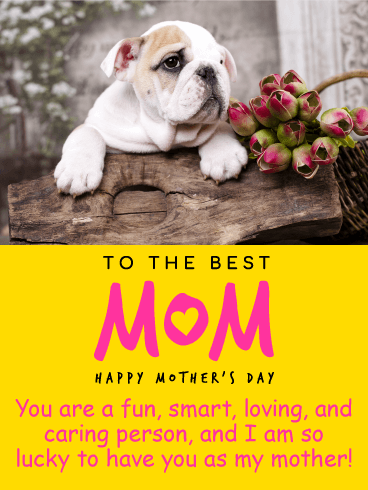 Every mother would like to be reminded of how much their daughter loves them, so be sure to send this wonderful Mother's Day card out on your mom's special day! 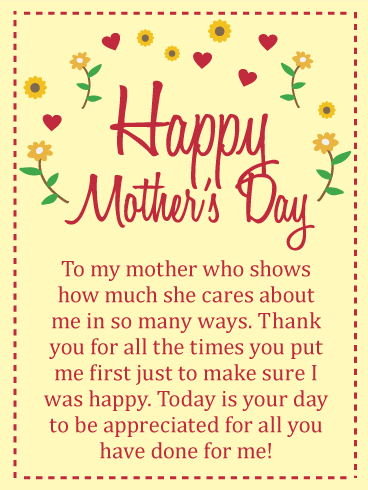 Happy Mother's Day - I Love You So Much! If your mother loves pearls, you can be sure she will especially love this elegant Mother's Day card! 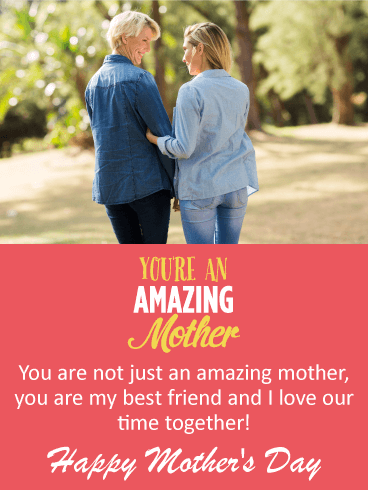 It was specifically designed to be sent from a daughter who thinks her mother is fabulous! 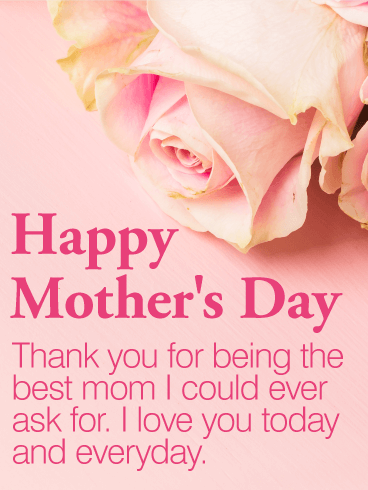 It features a pearl necklace that displays pretty flowers and the thoughtful words, "To The Best Mom Ever". 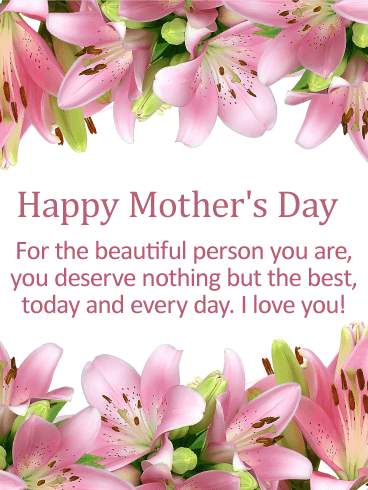 So let your mother know that her daughter appreciates all that she has done by wishing her a Happy Mother's Day today! 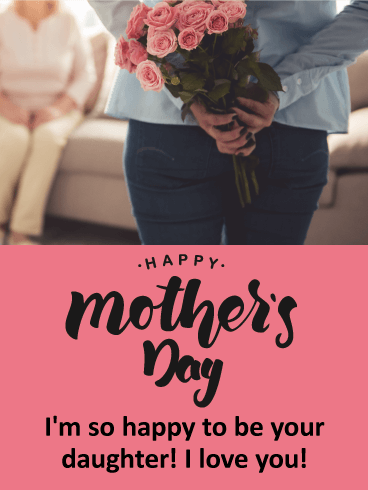 Your mom will love receiving roses from her daughter on Mother's Day! The pretty green and blue pastel colored hearts with the splashes of pink that this Mother's Day card displays, look absolutely fabulous! What will mean the most to your mother is that this Mother's Day card clearly shows that her daughter loves her. So make this the best Mother's Day ever by sending these roses and hearts out to her on her special day! 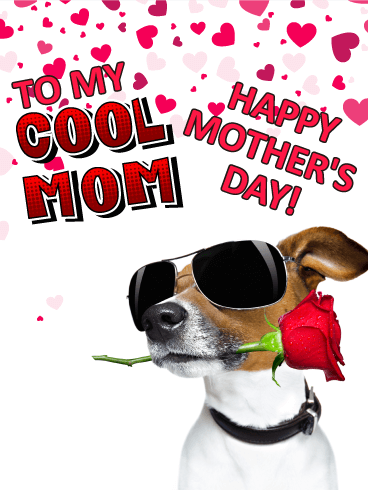 If you are the daughter of a cool mom, then you are in luck, this Mother's Day card was made for her! This adorable dog looks especially cool wearing his sunglasses, she may even get a little laugh out of it! 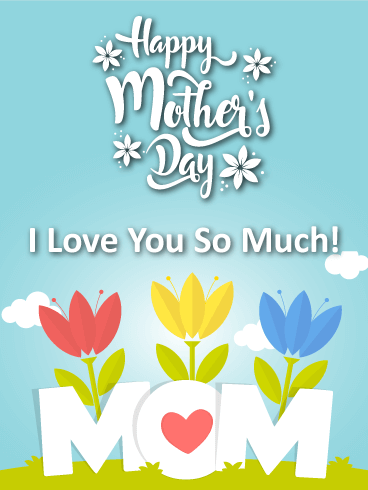 The hearts displayed on the page represent your love, which will make your mother very happy. This little guy can't wait to give your mom a rose, so send this Mother's Day card out soon!